Utah-based creators continue to show there are no geographical boundaries when it comes to some of America's best food and drink. It might seem improbable that our landlocked state would top the charts for a seafood specialty, but that's exactly what happened on July 8: Ben and Lorin Smaha—of Park City's Freshies Lobster Co. (1897 Prospector Ave., 435-631-9861, freshieslobsterco.com)—won the inaugural Down East Lobster Roll Festival in Portland, Maine. 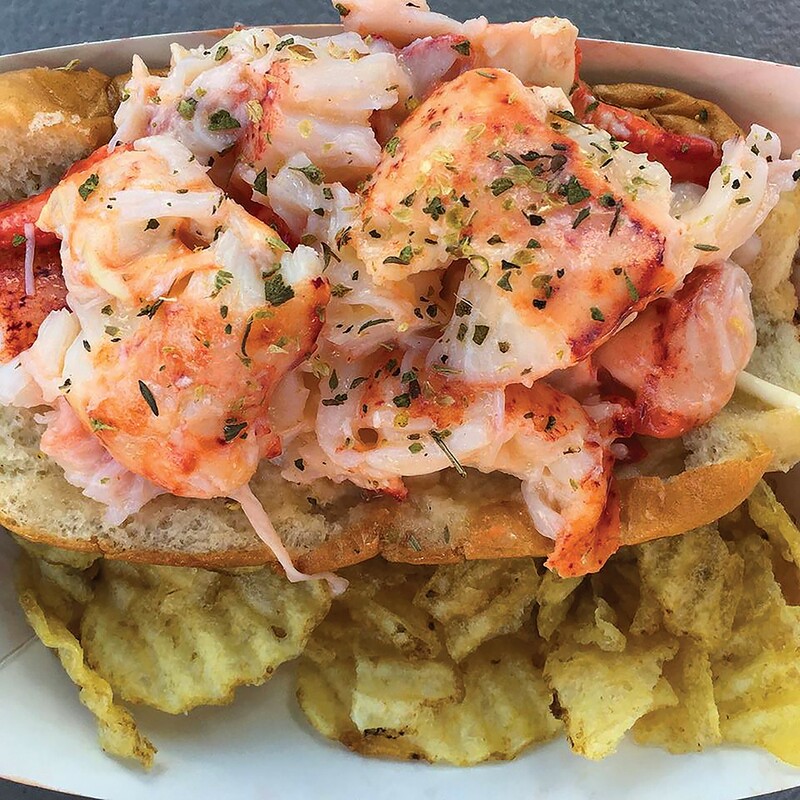 Their sandwich bested a field of 12 competitors, sealing a reputation that had already been established by a ranking among Yelp's "Best Lobster Rolls in America." According to Lorin, they almost passed on the opportunity entirely. "I definitely thought they would have a hard time crowning Utah as a victor," she says. "It was such a busy week for the restaurant; we were waiting for our red-eye flight [to Maine], and we literally almost drove back home." Congratulations on the win, and on deciding to take that flight. In the summertime, many Wasatch Front cities and neighborhoods offer free outdoor movies; Riverton chooses to take its offerings up a notch. Members of Utah's Food Truck League (thefoodtruckleague.com) bring their delicious goodies to Riverton City Park (1452 W. 12800 South) on Friday nights through August to accompany the family-friendly evening film offerings. Food truck service starts at 6 p.m., with movies beginning at dusk (weather permitting). Remaining films for the season include Pete's Dragon (July 21), The Great Gilly Hopkins (July 28), The Secret Life of Pets (Aug. 11) and more; visit rivertoncity.com for the full schedule. A decade of hard work has paid off for Kimo and Kalani Mack, whose Bountiful-based Hawaiian-style restaurant chain Mo'Bettahs was acquired on July 1 by Utah's Four Foods Group management company. The six locations—in Salt Lake City, Bountiful, Logan, Midvale, West Valley City and Lehi—continue to feature their popular menu of combos featuring steak, kalua pork, chicken and shrimp.